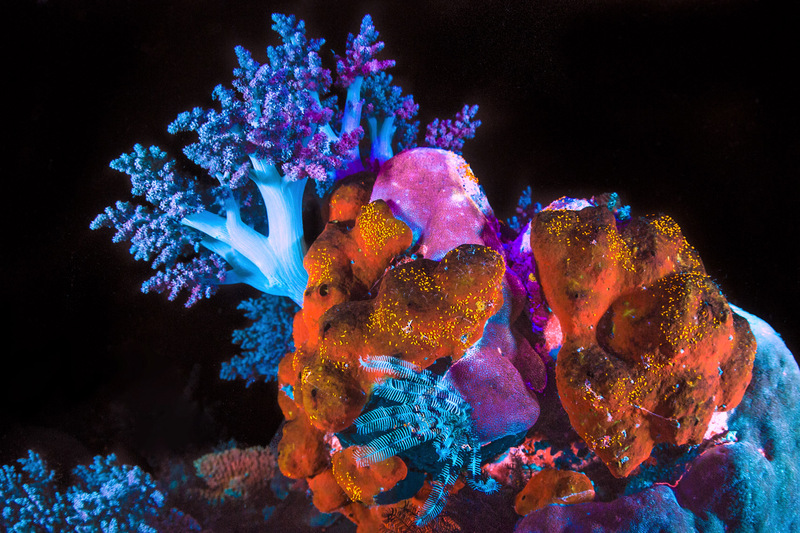 Fluorescence is phenomenon relativity common among many marine organisms, such as coral. A combination of light and lens filters in specific colors help to bring the magnificent fluorescent colors. Electromagnetic radiation at short wavelength of the light (like blue, violet, ultraviolet) is absorbed and then re-emitted at a longer wavelength (such as green, yellow, orange, red).